A list of the best lens hoods, screen protectors, cases, straps and more for the Canon G7X II. These are the accessories I use on most of my cameras that also work great for the G7X Mark II plus a lot more. 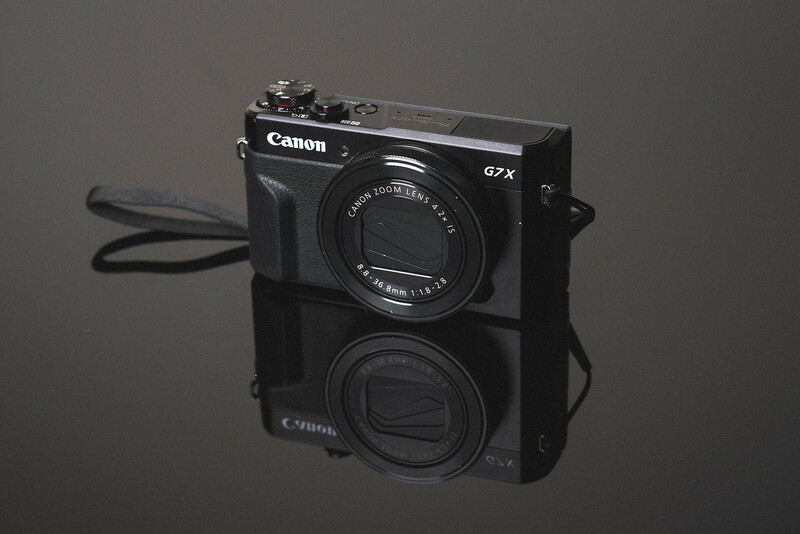 There batteries that the Canon G7X MkII uses are fairly popular and there are a lot of great 3rd party options. I usually like to have at least one battery by Canon, then a few backups. My favorite 3rd party is Wasabi but there are other brands I use as well that also work great. This is the official battery by Canon. These official batteries are usually the best, but not always. If you happen to lose or break your charger, this is the official Canon charger for the NB-13L batteries. I don’t recommend using the 3rd party battery chargers. The often times will not charge the batteries correctly. It’s probably fine for the NB-13L, but I’ve had problems with them on a few other cameras in the past. Some companies don’t even allow 3rd party batteries for some of their cameras like Nikon and GoPro. But in the case of Canon, I’ve never had a problem with any of their cameras. The Canon G7X Mark II puts out some decent memory card write speeds for the class of camera it is. I’ve tested the most popular memory cards in the camera to find the fastest cards. Check out the test results. The Canon G7X II uses the same screen protectors as the G7X. My favorite brand is Expert Shield, since they have such a good warranty policy and a very friendly customer service. They will replace your screen for free if you mess it up or if it eventually wears out. Myself and a few friends have dealt with them a few times and that’s why I always recommend them. There are a few types of protectors. Glass is a hard screen, it’s a little difficult to fix once you’ve put it on, but they are really nice. Crystal clear is your standard screen protector that you’re use to, like what you would have on your phone or something. Anti Glare makes your camera look cool, and I have a few of them on a few of my cameras, but they do seem to not be as clear as the others. Because of the retractable lens on this camera, you cannot easily attach filters. However, if you still feel like you need one then there is hope. Lensmate makes a filter adapter kit. It requires you to secure the adapter kit to your lens using some special tape they include. You’ll also need to get a UV filter. Tiffen makes some decent filters (fine for most people) If you want the best go with B+W. These are great at cutting down reflections. Tiffen makes a decent Polarizer that’s fun to use when outside. It will help make the colors pop. You probably don’t want to leave this on your camera all the time since it does cut down on the light which will cause more grain when indoors. If you’re looking for a nice affordable leather half case then I really like Gariz. If the Gariz Case isn’t your thing then there are plenty of other cases here on Amazon. I just haven’t used most of them and they don’t get great rates, but some are actually decent like the MegaGear. I’ll probably have a dedicated page just for straps and wrist straps but until then here are a few great straps I’ve been using on various cameras. If you want a really simple wrist strap the Gariz is great. They are thin and light although the colors do fade after a while. I’ve had a few of these with no complaints. Gordy’s makes some really nice wrist straps as well as full straps. Hard Graft makes some of the best leather accessories I’ve seen. They seem to be moving out of the camera niche and going more mainstream with bags, wallets and cases. However, they still do have a few nice camera straps that are definitely worth checking out. These are some of my favorite straps at various prices. LeicaTime Straps – Leicatime.com This is the strap I use in the first photo of this post. Gariz Leather Straps – Amazon If you’re looking for a fairly inexpensive strap that’s made of cheaper genuine leather then Gariz straps aren’t too bad. The C-Loops are great for hanging the strap from the bottom of your camera. The C-Loop Mini is likely what you’ll want for this camera. I have the Mover 20 so I can fit both my Sony A7rII and a G7X sized camera at the same time. However if you’re looking to just hold the camera and not too much else, the Mover 10 is great. There aren’t too many cleaning supplies you’ll need for this camera since it has a fixed lens. However, you can still keep things clean and pretty with micro fiber cleaning cloths. I’ve also listed the Rocket Air cleaners because they are always handy to have to get dust out of small places or off your screen when apply a screen protector. While there are many more accessories, straps and bags, this list covers the basic for what you’ll need specifically for the G7X II. I’ll continue to find and review new and great accessories on my blog and continue to update this page as I find great gear that can work for these small cameras.